8mm Sterling Silver Magnetic Clasp Converter For necklaces and strobg enough for bracelets. Strong rare earth magnet converter. 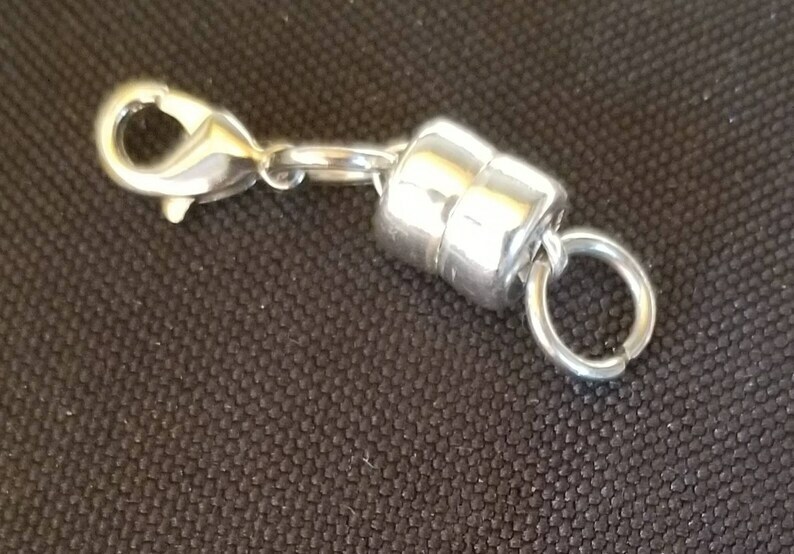 Extends approx 1" long, adding to overall length of necklace. Perfect for arthritis sufferers and those with difficulty closing clasps. 8mm clasp is very strong and allows for wear without fear of losing the necklaces. Can also be added to lightweight bracelets to help in daily wearing without assistance. As stated, an extender with a very strong magnet. It makes it so easy to wear necklaces. I am very pleased with my purchase. Thanks.